Preoperational Stage of Cognitive Development research papers study Jean Piaget's child psychology theories. In specifically examining the preoperational stage of cognitive development according to Jean Piaget, it is apparent that it is the stage that falls between the sensori-motor stage and concrete operational stage. Typically, children enter this stage at the age of two. It is characterized by a number of distinctive features with regard to the quality of cognitive processes during that period. One of the biggest changes that occurs in the transition from sensori-motor and preoperational is the way that the child approaches the world. In the sensori-motor stage, the child views objects in terms of how he or she can actually manipulate them. Thus, a ball is an object that can be thrown, rolled, or placed in one’s mouth. It is speculated that there is little symbolic thought that is happening within the mind of a child under the age of two. At the age of two and entrance into preoperational stage, the quality of the child’s thinking changes. Basically, the mind of the child becomes one filled with symbolic or representational thought. One might assume that this symbolic thought is the result of the development of language. 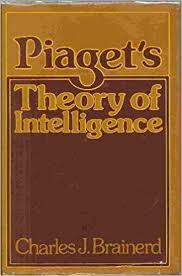 Piaget suggested that language development and cognitive development were not integrally related. He believed that cognitive development would occur regardless of the child developing increased language skills. In fact, cognitive development was a precursor for the development of language. Berk offers evidence to support this notion. One of the accompanying characteristics of preoperational thought is the occurrence of “make-believe play”. By “pretending,” children strengthen their cognitive abilities. They are essentially practicing the way they think about the world. They are formalizing their conceptualizations of the world. As part of this play, they can take any object and pretend that it is something else other than what it is. Through this process they become more focused on the external world and less focused upon themselves. In other words, they are not longer limited by the reality of the objects they manipulate or the actions that they perform. Paper Masters writes custom research papers on Preoperational Stage of Cognitive Development and study Jean Piaget's child psychology theories.